Notice: if your tablet is signle OS (only windows) ,please don't use files above. Can you finally add the password to the first post. It's really annoying that they ask about it every page. i did a bios flash with that but it still doesn't work. Do you mean that you have flashed the this Bios but it doesn't still work? i need password "Official Version Chuwi Hi8 Pro (for Dual OS) Windows OS download"
hi, I want to reinstall windows on my hi8 pro, but I am not sure which files I should use. Intel Battery Management device driver need to be updated or repaired. 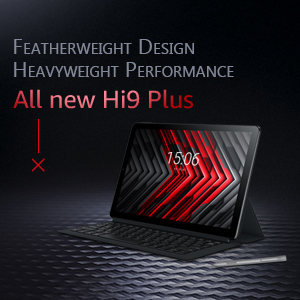 Because I observed that hi8 pro have often shows or also works in wrong power state. Like yesterday when I using windows without charger it still blinking like with plugged cable. And almost always I must start charging when device is OFF when you use it doesn't work. And problem dissapear when I turn off this driver and restart it. Yes it seems to be normal for this device. That's a pity. This is the reaseon why i don't use the device anymore, because of the high battery drain in standby. My Nexus 9 has a 6000mA battery and lasts more than a week in standby, although it has a (bigger screen and) more powerful CPU/GPU. The Hi8 Pro has a 4000mA battery, (a smaller screen,) a less powerfull CPU/GPU, but still it lasts only 1,5 to 2 days in standby. The ROM and the BIOS needs more optimizing. I understand that when i use heavy load Apps that i have to charge the device more often, but i don't understand why i have to charge that device that often when only in standby. The problem that i see is that Chuwi and other companies only buy the technology, build cheap devices and sell them. They do not have the knowledge or do not take the time to refine their products. They use standard software parts and standard drivers. They rely on the CPU and SOC vendors for the drivers. You can say, they (Chuwi and others) are more ROM cookers than ROM developers. It might not be Chuwi's fault, it might be Intel's fault. It also might be that these companies do not buy the proper licences, so they don't get the proper support from the vendors. That's why bigger companies, like Samsung, Huawei and Sony have better and more frequent updates for their devices. They have better support from the vendors and the leverage for speeding up fixing vendor specific problems. 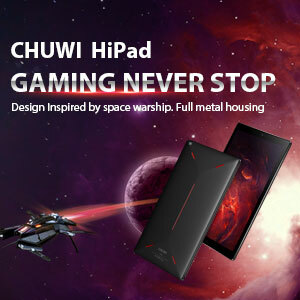 For us customers the problemis , that from our perspective Chuwi is the vendor. Still, i hope that someday Chuwi has an optimized ROM for proper use. But, more likely i will sell this device. 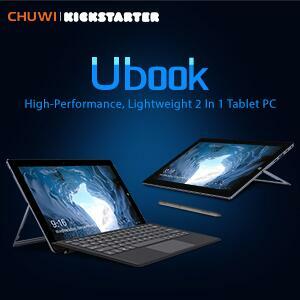 As a consequence of above said things, i won't buy anymore devices from Chuwi, Umi, Ulefone, Teclast, etc. Instead i will buy a device with better software and support from Samsung or Huawei. Only good device specs (like tha Hi8 Pro) do not make a good device. For a succesful business you also must have good software and support. Picked the "flash-no-erase-all.json" that $tef referenced. Make sure you install the intel USB driver. It would not recognize my tablet until i powered it on and turned on oem unlocking. Mine sat at the same screen as redler, but had a status of updating on the bottom of the screen with a byte count until completion. Android has been great for me has been on for 20 hours now and comes out of sleep fine. Mi might actually be satisfied with my Hi8 Pro. I have downloaded all stuff that Emily put up in DropBox, now is there a tutorial telling me how to proceed with flashing the dual os Hi8 Pro - Android 5.1 and Win 10 ? Has any one tried that and been successful ? Have you uninstalled "insydeQ2S" from Control Panel? Can I flash my tablet bought in January (Windows 10 only) with this dual boot ? Sorry, it is only for dual boot Hi8 pro. And Single OS can't be upgraded to Dualboot now. Once again - my serial number is ended with 2973, is there any chance to upgrade with dualOS BIOS ? Could someone from Chuwi clarify finally what range of serial numbers can't be upgraded to dualOS and provide reasonable explanation why ? Anyone tried this new update? My unit keep shutting down by itself and wifi connection keep dc and cant connect it back unless you restart the unit..
Is Your tablet single OS hi8 pro or dualOS hi8 pro? 4-25-2019 22:04 GMT-8 , Processed in 1.473264 second(s), 33 queries .